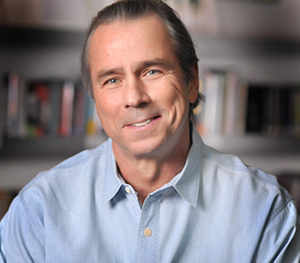 Howard A. Tullman is responsible for leading the Ed Kaplan Family Institute for Innovation and Tech Entrepreneurship. Over the last 50 years, Tullman has successfully founded more than a dozen high-tech companies. Most recently, he led Chicago-based 1871, which was named the top university-affiliated business incubator in the world in 2018. He is also general managing partner of Chicago High Tech Investment Partners and G2T3V, LLC, both Chicago-based early-stage venture capital funds. Before serving at 1871, he most recently was the chairman and CEO of Tribeca Flashpoint College, which he co-founded in 2007. Tullman is the former president of Kendall College and the former chairman and CEO of Experiencia, Inc.
Tullman is also a member of Mayor Rahm Emanuel’s ChicagoNEXT council, the City of Chicago’s Department of Cultural Affairs and Special Events Cultural Advisory Council, the Illinois Arts Council, and Cook County Board President Toni Preckwinkle’s New Media Council. Tullman is a graduate with honors of Northwestern University (B.A., 1967) and of its School of Law (J.D., 1970), where he also graduated with honors. Are Entrepreneurs Born or Built or Both? Barbara S. Pollack joins the Ed Kaplan Family Institute for Innovation and Tech Entrepreneurship (Kaplan Institute) as the Deputy Director. Ms. Pollack has been serving the educational and business community throughout her lengthy career. Recognized for her novel ideas and concepts for business development and growth initiatives; strategic relationships, partnering assessments, requisition and fund-raising and development. She has been a keen advisor and facilitator for sponsorship and promotional affairs. As a specialist and skilled professional in adapting and creating disruptive and innovative workplace environments she has won numerous design awards. Previous to joining Kaplan Institute, Ms. Pollack was the Owner’s Representative and lead designer for GE Transportation’s Chicago Headquarters. Ms. Pollack was also the Owner’s Representative and interior specifier for Relish, a new innovation center for Gordon Food Service, Grand Rapids, Michigan. She also assisted in the planning, design and strategic visioning for The Connectory, Bosch’s innovation and incubation center. At 1871, the world-class entrepreneurial hub located in theMART, in addition to her Owner’s Representative and design responsibilities for the development and buildout of all phases of 1871’s expansion, Ms. Pollack also established and developed extensive key strategic partnerships and sponsorships, managed and steered special projects, and advanced significant community outreach initiatives. 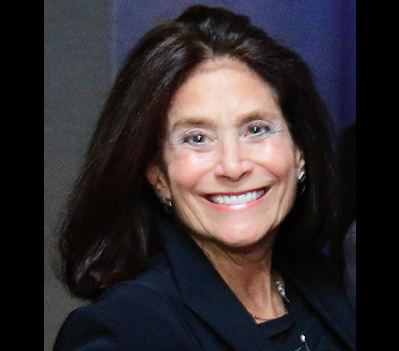 As Executive Vice President, Ms. Pollack was responsible for the design and business collaboration development of Tribeca Flashpoint Academy, the transformed Kendall College and served as Owner’s Representative for The British School. Ms. Pollack is an Executive Board Member of Choose Chicago Cultural Tourism Commission. A long-standing member of the International Interior Design Association and the American Society of Interior Designers. Ms. Pollack is a partner in G2T3V LLC., a private equity early stage venture investment fund. Ms. Pollack holds a dual Bachelor of Science degree in Fine Arts and Art Education and a Masters of Arts in Art Therapy. Jeremy Alexis is a senior lecturer at the Institute of Design and the director of Illinois Tech’s Interprofessional Projects (IPRO) Program. Alexis teaches ID’s core design process class and co-teaches the biomedical engineering design capstone. 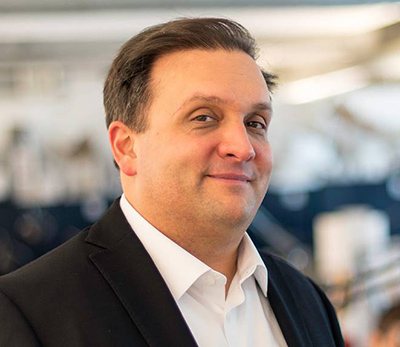 He is the lead faculty for the Institute of Design’s executive education program, working with organizations such as FedEx, Ford, Nestle Purina, Hitachi Data Systems, The Kresge Foundation, and Leadership Greater Chicago. He conducts research in health care and criminal justice reform with partners including the American Bar Association, Memorial Sloan Kettering Cancer Center, and the Sheriff of Cook County. Before joining Illinois Tech in 2005, he worked at the design/innovation firms Gravity Tank (now part of Salesforce) and Doblin (now part of Deloitte). He has an M.Des. and B.Arch. from Illinois Tech.